4 Types of Massage Available: Thai Yoga Massage, Thai Oil Fusion, Swedish & Hot Stone Massage! Thai Yoga Massage also known as “lazy man’s yoga”, is a treatment for everyone regardless of age, fitness and flexibility. It blends element of acupressure yoga, reflexology, physiotherapy, meditation and relaxation. It is based on the ancient belief that life force energy (prana or chi) circulates around the body through 10 main energy lines. Blockages along these pathways can result in pain or disease on both a physical and emotional level. The therapist uses hands, feet and elbows to apply pressure along these lines whilst also using gentle stretching, massage and basic yoga postures. This releases blocked energy and frees the bodies own natural healing abilities thus restoring balance and health to the body. The client remains fully clothed and lays on the floor on a futon or thin mattress. What is Thai Oil Fusion Massage? Thai Oil Fusion Massage is performed on a massage table and the client is covered with a towel (underwear can be kept on). Comprising some of the above techniques mixed with oil. You will experience the healing effects of a relaxing and restorative massage using a synergy of essential oils that will embark your body and mind on a journey of ultimate relaxation and wellness. The benefits of Thai Yoga Massage are countless. Thai massage can improve posture, breathing, flexibility, digestion and circulation. Your muscles are stretched, inner organs toned and emotional and nervous tension is reduced. You can experience a deep sense of peace during and after a treatment. Some people even fall asleep, so don’t worry if you do. 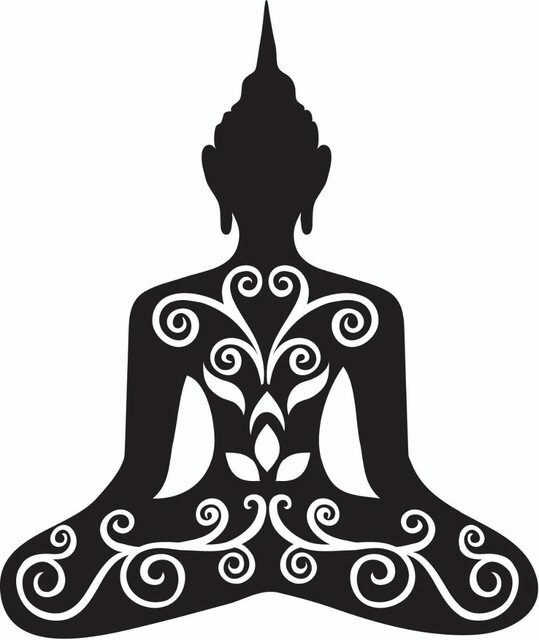 Although the main emphasis in the practice of Thai Yoga Massage is usually on health prevention, it can also be of great therapeutic benefit for a range of specific problems and conditions, such as headaches, back pain, digestive disorders, shoulder and neck tension, joint pain, menstruation problems, insomnia and other stress related conditions. A hot stone massage is a type of massage therapy that is used to help you relax and ease tense muscles and damaged soft tissues throughout your body. During a hot stone massage, smooth, flat, heated stones are placed on specific parts of your body. The stones are usually made of basalt, a type of volcanic rock that retains heat. The heated stones are used to massage the body using Swedish massage techniques such as: long strokes, circular movements, vibration, tapping & kneading. In addition, cold stones are also used to calm any engorged blood vessels and to soothe the skin. The benefits are similar to Thai Yoga Massage. Down to Earth Yoga classes and 121 sessions are suitable for all, regardless of your gender, age, size and flexibility. Your yoga journey can start at any point in your life. Beginners to advanced students are welcome. Down to Earth Yoga offers Thai Yoga Massage; a blend of elements of acupressure yoga, reflexology, physiotherapy, meditation and relaxation and Thai Oil Fusion Massage.